This important and thought-provoking book explores the workings and dynamics of the large group, with clear descriptions of both theory and technique. 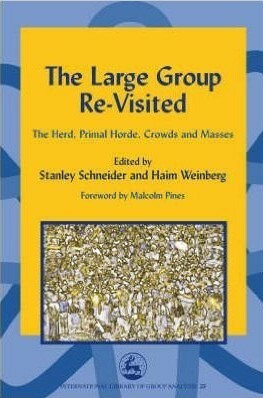 Building on Kreeger's earlier collection of papers, this volume shows how large-group concepts in group analysis have evolved to become important tools in understanding the social interactive processes operating in conferences, workshops, training institutes and large organizations such as hospitals, psychiatric communities and government agencies - and even operate in virtual groups formed on the internet. The authors consider issues of leadership and order, the control and expression of aggression, spiritual and therapeutic experiences, the maintenance of individuals' identities and the development of culture in the context of larger groups. Engaging with a broad set of contexts, this book will be of practical use to all those who seek fuller understanding of the social and psychological processes underlying group dynamics, including group analysts, sociologists, policy makers and consultants.